‘Pure Spirit Living Lofts & Condos’ Located In The Heart Of The Distillery Historic District! Best 1 Plus Den Floor Plan In The Building. Very Open, Approx. 565 Sq. Ft. As Per Builder’s Floor Plan. 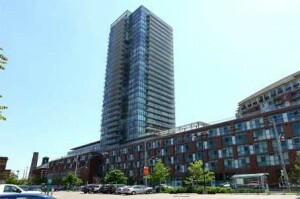 Unobstructed City Views, Steps To Restaurants, Cafes, Shopping, Art Gallery, Theatre & Grocery Store, TD Bank Downstairs, Easy Access To Hwy & TTC, Rooftop Pool, Hot Tub And Patio With 2 Barbecues! 1 bedroom + den, 1 bathroom, with 1 locker.